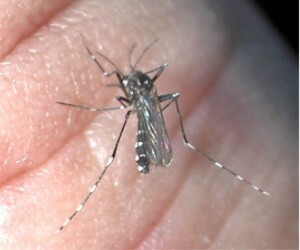 West Nile virus has been confirmed in Anne Arundel County. According to officials this is the time of summer that this disease typically appears. This is not a human case nor a dead bird case, but the virus was found through regular surveillance in a mosquito pool. In past years we have had as high as 73 human cases (2003) but the virus has migrated westward. Last year there was only one human case, dropping from 14 in 2008. For information on options we offer for backyard mosquito control, call 301-444-5566 or go to www.mosquitosquad.com and enjoy happy, healthy outdoor living. 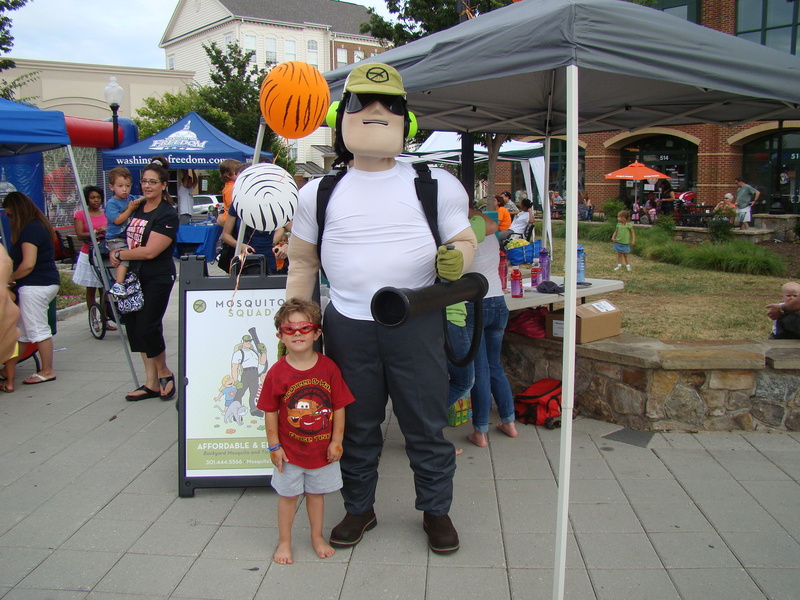 Thanks to all the great folks who visited our booth at the fun Summer Safari Festival in The Kentlands yesterday! We had a great time sharing our coloring books with the kids and meeting their parents.We really appreciate Dread Skeeter making a live appearance at the festival and hope he’ll stay in town for a while! 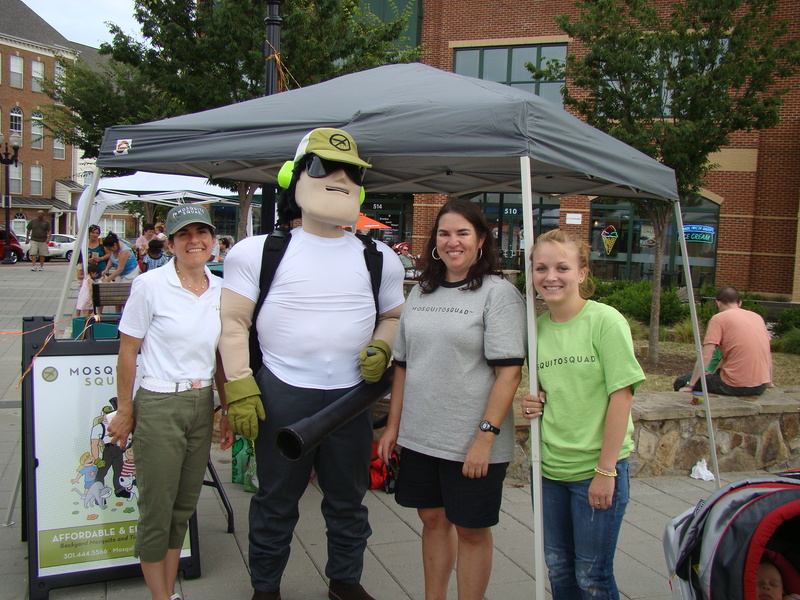 For many, it was the first they’d heard of Mosquito Squad since we are in our first year serving Rockville, Gaithersburg and all other parts of Montgomery County. In fact, there are 8 locations serving in the State of Maryland. Since our Grand Opening in May this year, we have grown quickly thanks to a combination of word-of-mouth, yard signs, auction donations, and customers who spotted out truck in their neighborhood. We serve protect customers for one-time special events, or all season long. Remember the Summer Safari Special is only good for new customers who sign up for service within a week of the festival. Call Susan now to schedule your consultation or your first regular or all natural mosquito control spray–301-444-5566. The folks at the Business Gazette based in Montgomery County, MD were wondering how the heat wave was affecting businesses in the area. So they called us! Larry Johnson of the Frederick and Washington Counties Mosquito Squad explained that the Asian tiger mosquito populations increase more quickly as temps rise. I have seen more mosquitoes even in the middle of the day when I am out inspecting new accounts. Fortunately, I know what we do can have an impact on that rising population either with our traditional product or our all natural option.